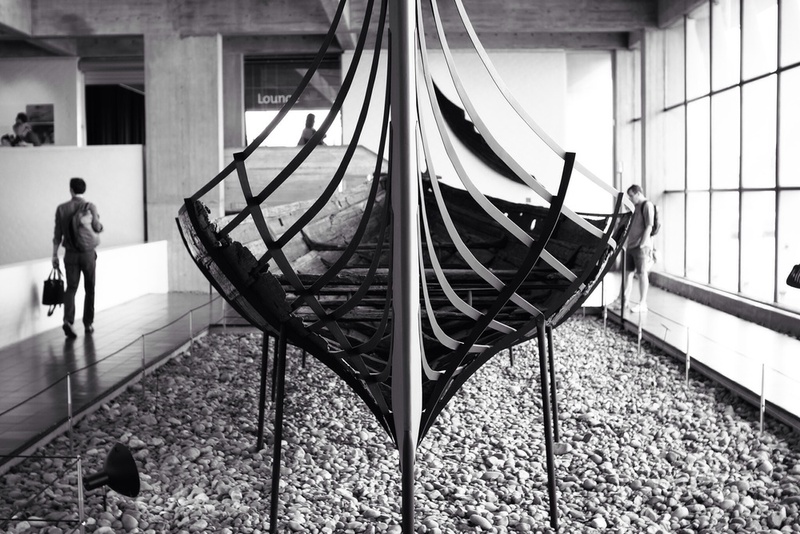 Viking ships were dug up from the bottom of the Roskilde fjord in the early 60's and have been standing since in the Viking ship museum in Roskilde Denmark. Real Vikings sailed in these ships. They plundered, traded, fished, and attacked in them. I love the thought that we can witness centuries of history simply through the types of transport a people used. The ships tell the light and dark sides of the Vikings' expansive power and dominance. I wonder when in centuries to come what people will make of our modern-day ships. What will our cars, airplanes, and cruiseliners reveal about our lives? Denmark has a deep connection with the Vikings. Every year, in the town of Frederikssund, people gather together, dress up as Vikings, and perform a Viking play. I interviewed several of them and what I learned was remarkable. Some participate for the camaraderie, others because they grew up going to the play, and a few participate because they believe in the Norse gods.